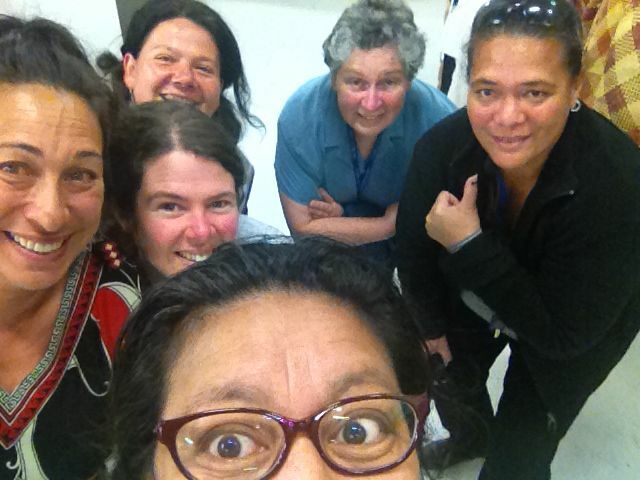 It has been a busy year for the Pacific Cultures team. 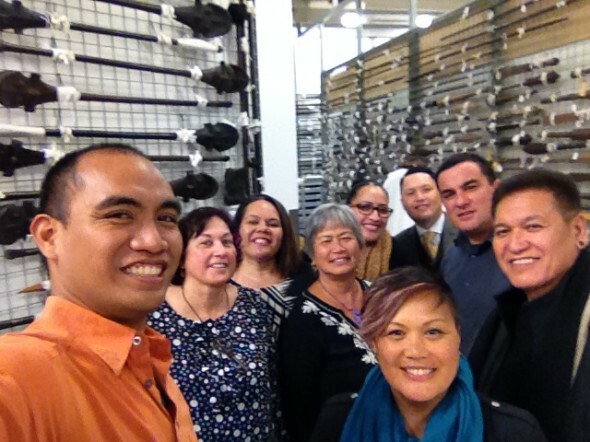 We have had people from around the world visit the Pacific Cultures collection storeroom from Wellington hip hop pioneers to weavers and carvers from Niue. Each visit has helped to connect communities with our collection and on many occasions our visitors have offered new insights about our taonga. All of our storeroom tours are recorded in our guest book (which is looking a bit full) but for our visitors many have documented their visits via selfies taken in the storeroom. What started as a spontaneous photo opportunity has now become a bit of a tradition and we have accumulated quite a collection of ‘storeroom selfies’. So to wrap up 2014 we thought to share a few of our ‘storeroom selfies’ that capture some of the amazing people that have visited us this year. Hawaiian researchers, artists and staff from the Bishop Museum, Hawaii. 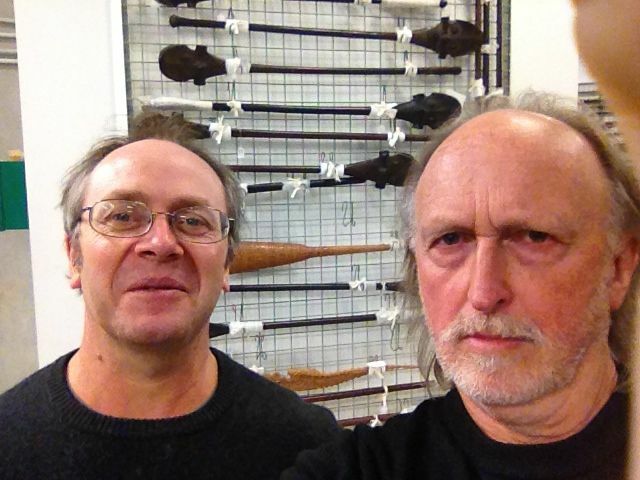 Professor Nicholas Thomas, Director of the Museum of anthropology and Archaeology, Cambridge, and New Zealand photographer Mark Adams. We couldn’t fit everyone in this blog so thank you to all of our visitors this year and to those who have followed our blogs and Instagram posts. We look forward to bringing you more ‘storeroom selfies’ in 2015. Great posts this year guys – keep up the good work. Have a fabulous Christmas and Tauhaga Fou. See you at the next AGM! Thanks Fuli. Happy New Year and all the best to you and the team for 2015. 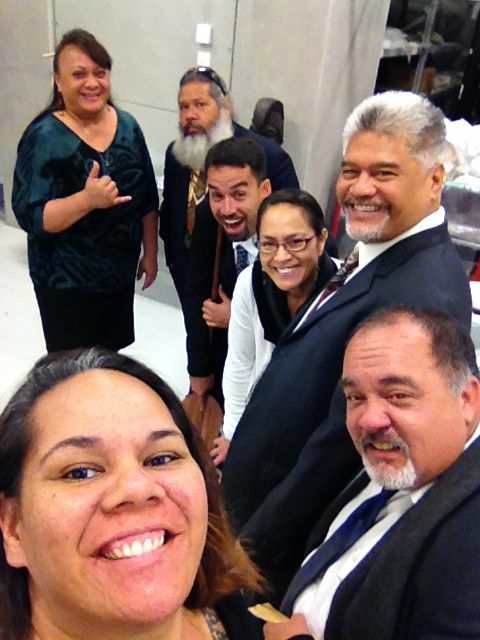 Fantastic to read your blog and see the “selfies” . Look forward to more updates!